Any food that becomes necessary for the growth or health of a person is called nutrition but nutrition of our body is way different than the nutrition for our muscles especially if we are wishing to build those muscles. Our daily diet consists of many components like carbohydrates, proteins, fats, minerals, fibers and vitamins. Our main focus here would be to discuss what components are most important for muscle growth and we will also talk about the food that builds muscles. Every trainer has agreed that the biggest mistake a person does while training is that he keeps eating the same diet and doesn’t design it according to the requirement of the muscles and this result in closer to no change in the body shape. Training takes a lot of effort and hard work and it is advised to not waste that sweat by eating the wrong food all along. Even though protein and fats are an option when we talk about sources of energy but carbohydrates always tops the list. Even protein requires a specific amount of carbohydrates to work as a fuel in our body so depriving yourself of carbohydrates as you begin the journey to a better body is the worst idea ever. Carbohydrates are required for our muscles not only as fuel but they are also required as muscle gets torn and build again. The units and building blocks require for muscles buildings are called amino acids and all those amino acids combined are known as proteins. So basically muscle is made up of protein. For regulating muscle growth, a person is advised to take a constant amount of proteins throughout the day. As you skip proteins from your diet, building muscles become a farfetched thing as without proteins we cannot even imagine to maintain our muscle tissue. Fats is one of the components of the diet that is widely being overlooked as the nutritionists only focus on proteins and carbohydrates as they guide their clients in muscle building. To obtain mass while muscle building, the first requirement is enough eating enough calories each day. Most of body builders cannot complete their daily calorie intake while building muscles and that is where fats come for the rescue. After discussing the importance of each component of diet we can start talking about the food that builds muscle. Any food that has ample amount of carbohydrates, proteins, fats or any of the three in it becomes an important requirement for body builders. Adding those good to your daily life and diet routines can help increase the rate at which your muscles become bulkier and stronger. People prefer choosing food that is easier to consume than something that takes hours to prepare. For example peanut butter is rich in protein and can be applied directly to bread slices or eaten out straight from the jar where as meat which is even richer in protein requires a minimum preparation time of 45 minutes. Our main focus would be to discuss the food that is easier to prepare and still counts as efficient enough food that builds muscle. This protein rich food is famously known to be a part of body builder’s diet plan. But protein is not the only component of eggs; eggs also contain other minerals and vitamins essential for muscle building. The most important constituent of apples called Polyphenols help the consumer in training longer and better as polyphenols prevent muscle fatigue. Cottage cheese contains vitamin B12, and calcium for the betterment of our body. But cottage cheese is also filled with slow digesting protein called Cassein protein. This slowly digesting protein is important as it can be helpful for people who cannot find enough time in their busy routines to eat proteins every other hour. It’s like a reservoir for protein! Tuna is not only rich in proteins and omega-3 fatty acids but also is very low in bad fats that are not good for our health. That makes it a great choice for any body builder who is starting to exercise and train and is having a hard time choosing food that can build muscles for him. Oatmeal’s best quality is that it is processed very little and is high in carbohydrates. With that being said, it also has a very low glycemic index which means it helps in losing fat while giving us enough carbohydrates to work on muscle building. It is also known to help in reducing hunger which ultimately helps in reducing weight. Like apples, this is also rich in polyphenols but it’s also known as a good fat as it only contain monounsaturated fats that helps in preventing cancer and various type of heart diseases. As explained earlier, anything that is easier to prepare is preferred by bodybuilders so they love using extra virgin olive oil as a dressing over all of their salads! After various researches it was proven that spinach help in increasing muscle mass by 21%. This means spinach should be a part of all three meals you take in a day as this food helps in building muscle better than any other out there. This is because of phytoecdysteroids contained in it. A list goes on when we talk about the composition of protein enriched beef. It contains zinc, cholesterol, iron and Vitamin Bs on top of all the protein it is made up of. A lot of people ask the question why choose Greek yogurt when simple yogurt exists but Greek yogurt doesn’t only have a different taste but it also contains different nutrients. Greek yogurt has more protein and lesser carbohydrates. It is also a great source for Cassein protein that is the slowly digesting protein. It is a rich source of protein but it is preferred over other food because of the convenience through which it can be eaten straight from the jar! These were the foods that are known to be good for building muscles for people training but what can help further is combining these. We now have full knowledge on food that builds muscle but another step to fasten the process can be to be creative and make new recipes. Your recipes could have more than one ingredient taken from the list of food above to make your meal better nutrition wise. Don’t forget to keep the calorie count of each meal to measure if you are still taking the right amount of calories each day. For example, eating peanut butter with apples can be a great snack in between meals and will help you gain benefit of both of those rather than only one. Every salad could have spinach in it and dressing could be done by extra virgin oil. Eggs could be served with meat as well! This all will double the benefits and help in getting a better flavor by speeding up the process of muscle building. Diet plans are tougher to make as you have to stay under the limit of each nutrient while keeping the calorie count in your mind. When you look at your favorite body builder or trainer, the one thing you should keep in mind is the fact that they did not get where they are today by completely relying on their diet plans, nutritionist and trainers. So instead of feeling sad looking at those bodies, figure out the way they chose to get where they are today. Their training definitely did help the process but another important factor was the supplements they took along the way. No amount of training can help you become a body builder without the help of the supplements. 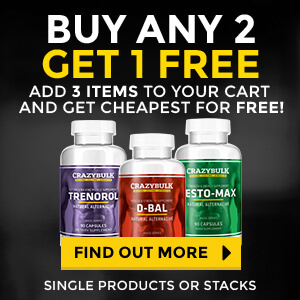 Some people prefer using supplements from Crazybulk that can fasten the process of muscle gain. 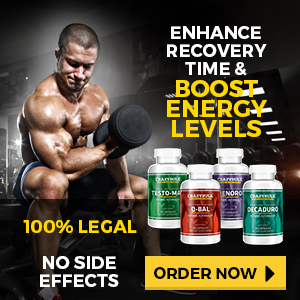 Supplements are like food specifically designed for our muscles to make them bulkier and stronger. Famously used products are Clenbutrol, D-bal, Trenorol, and Anvarol. These supplements if taken with right diet plans and good training schedule will make the muscle gain process faster and definitely better. This whole article was based on food that builds muscle and now we know all about it. Now you probably don’t even require a nutritionist to design or decide your diet plans. Training hard is very effective but it won’t help your case until you start taking supplements and design your diet according to the daily requirement of your muscles. 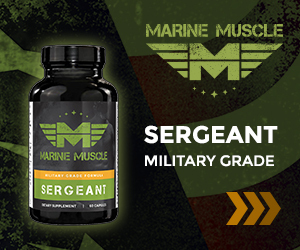 Gain strength and build muscle!